I have been waiting for this trailer for a long time and I am happy. I agree. It’s going to be really cool to see Mysterio acting like a good guy and Spider-Man teaming up with Nick Fury. Yeah, Mysterio is a great villain for this movie, and going to be fun seeing Spider-Man and Nick Fury teaming up. Like the setting as well, with Peter and his friends in a whole new setting like this – going to be fun! I am curious about the elemental villains and how Mysterio plans to fight them. I bet with Spider-Man teaming up with Nick Fury is going to be a new change for him in future movie titles. I was wondering about those as well. Maybe they are one of Mysterio’s illusions perhaps? Seeing Spidey and Fury team up will certainly present an interesting dynamic in this and future MCU films. One things for sure we are in for an action packed movie! Maybe. Maybe Mysterio is going to be the one tricking Spider-Man to do something dangerous and possibly reveal his identity. I bet if Spider-Man does well with Nick Fury, he could be joining SHIELD and this will lead on to the Ultimate Spider-Man comics. Indeed, Mysterio will no doubt give the wall crawler a run for his money. Would be interesting to see Spidey join SHIELD as well maybe. We shall have to wait and see. 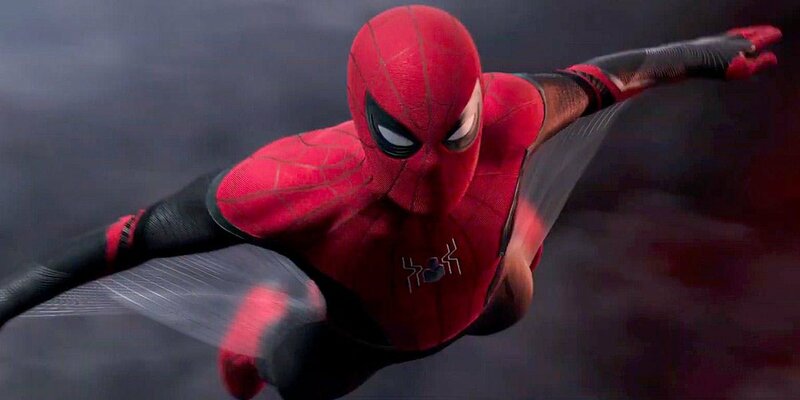 For now, I just like seeing Spider-Man taking part on the fringes of the MCU, and gradually being introduced to the other heroes like he was in Avengers Infinity War. Yeah me too. I think having Spider-Man involve in the MCU is going to make these movies amazing. He already fits in with the universe. I wonder if Mysterio is going to be a better villain than Vulture. Having Spider-Man in the MCU is such a welcome addition to the films. I expect I expect Mysterio will be just as deadly a threat to Spider-Man as the Vulture did – perhaps more so even as with his illusions you never quite know what might be real or not. Yeah I heard Mysterio is really tough and he does tricks at Spider-Man in the comics. I wonder what kind of trickery is he plotting for Spider-Man. I bet he is going to trick him by making himself look like the hero. In the comics the character, Quentin Beck, had a career in special effects, before he turned to crime as Mysterio and used his skills to create elaborate illusions to battle Spider-Man. 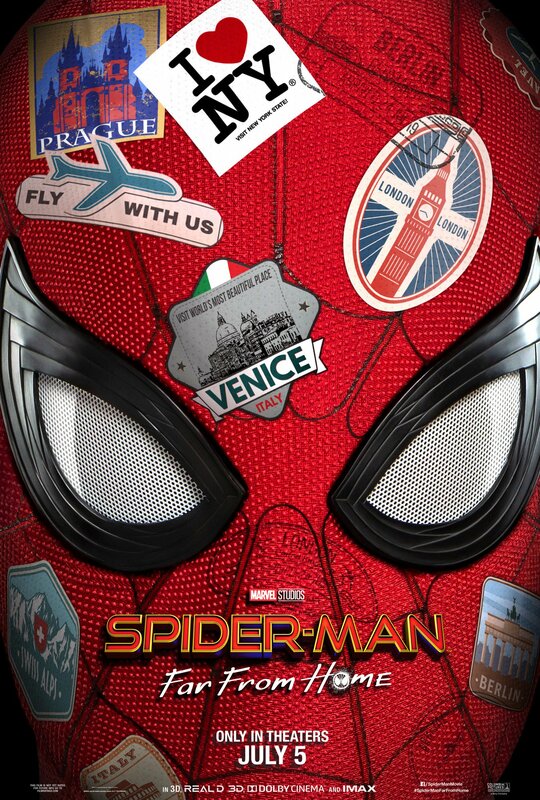 I bet Spider Man Far From Home will have a similar theme for the character. He will probably try to discredit or make himself look more heroic than Spidey as part of his plans. I can see that. I think his act on trying to stop the Elementals is going to be part of his plans and try to make Spider-Man look like a threat. Yeah and I see they want to focus on Peter’s friendship with MJ. I heard Gwen Stacy was going to be in this movie too. I hope so, MJ and Gwen are such good characters. Yeah. They are important to Peter’s life in the comics. I am so excited for this movie. I been waiting for Marvel and Sony to release this trailer. I wonder what Mysterio is planning in this one. he looks like a good guy. I am always excited to see more Spider-Man. Yeah I noticed that. These movies are giving attention to villains that doesn’t get much attention. I can’t wait to see these characters being in the spotlight and making it challenging for Spider-Man. Yeah and it really throws away the cliches. This will make villains like these guys popular and make readers go all the way back to the old comics. Yeah and I see Mysterio has a trickster similar to Loki. Looks like a lot of fun! 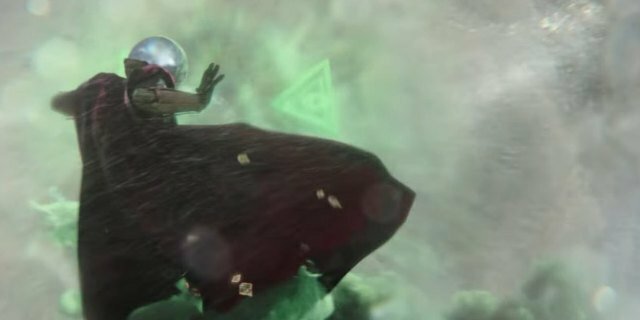 Mysterio looks pretty cool, even wearing his fishbowl! Clearly the best things in this amazing trailer (pun intended) are Mysterio and the new Spidey suits! The other stuff such as Parker’s awkwardness and the super heroics were great to look at, but the villain and the suits truly stood out. From the looks of the trailer it appears that Mysterio will be pretending to be a hero and those elemental creatures could very well be f/x creations by him to gain publicity. It will be fun to see how the story plays out. Definitely a great trailer that really lived up to the hype for me. It shows a lot of action and plot without giving anything key away. We know the general plot from this and see that Peter’s going to certainly have a bit of a character arc. I think a trailer should always answer the question of “Why should I watch this?” and this one did a great job. This looks like a wild ride, with some good lines. Also: I love the big orchestral version of the old “Spiderman” song. Seriously though, what’s not to like about this trailer? Our friendly neighborhood Spiderman, isn’t in his neighborhood at all! Looks like the movie will be great fun!